Make an impact with our Croc Chicago Menu Boards. Glossy textured Croc material is offered in your choice of bold color. 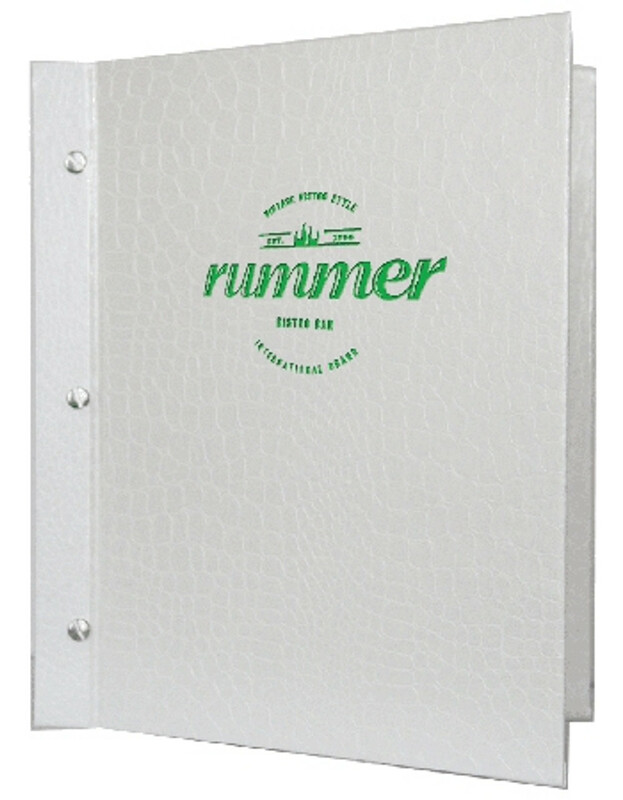 Two piece menu covers are great for drink lists, offering flexibility and quick menu page changes. Three sets of aluminum screws and posts are included or choose optional black screws and posts for a small upcharge. This product may be customized with your artwork or logo. New orders require a custom artwork setup charge.